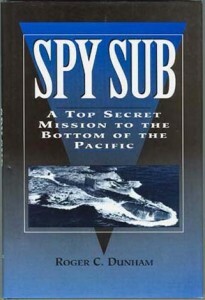 “SPY SUB” A Top-Secret Mission to the Bottom of the Pacific. By Roger C. Dunham. The true story of an American nuclear submarine’s desperate search for a nuclear-armed Soviet submarine (K-219) lost in the depths of the north Pacific. 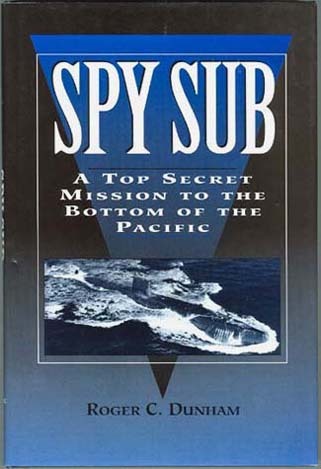 Author Roger Dunham was a crewman aboard the U.S. spy sub (USS Halibut SSGN-587) and tells his story of the still-classified mission to locate the Russian sub which carried deadly cargo of armed missiles. With slight technical modifications and name changes (calling Halibut the Viperfish), Dunham’s story was cleared for publication by the Department of Defense. This is the true story of the ultimate in naval technology, human skill, and undaunted courage in the darkest depths known to man. 1996 Hardback with dust jacket. 222 pages, 14 black and white photos, no maps or index.